If Samsung already has the Samsung Genio as a sort of successor to the Samsung Tocco Lite, well LG has their own successor to the LG Cookie: The LG GD510 Pop. 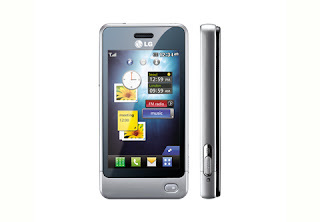 The LG GD510 sports the same 3.0 inch touchscreen as the LG Cookie Mobile phone but the former cell phone has a more attractive design because of its brushed aluminum finish. LG decided to scrimp on hardware buttons and just put in one button on the mobile phone to act as the home button, call and end buttons. Other specifications are a but sketchy right now considering that LG never mentioned any of the phone's features but instead, they droned on and on about consumer research. What can be confirmed is that it has 3.0 megapixel camera, 8GB internal storage, and can play music and videos. 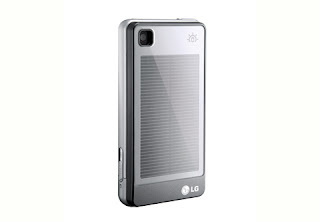 And oh yeah, for those environmentally conscious individuals, the LG GD510 has the option of swapping the regular battery with a solar back panel. According to LG, they expect the GD510 to hit the shelves in Europe on October.